"Viśvanātha Cakravartī Ṭhākura has taught very, very nicely about guru. Therefore he has written in Gurvaṣṭaka, yasya prasādād bhagavat-prasādaḥ. He is example, practical example, of guru-bhakti, Viśvanātha Cakravartī Ṭhākura. 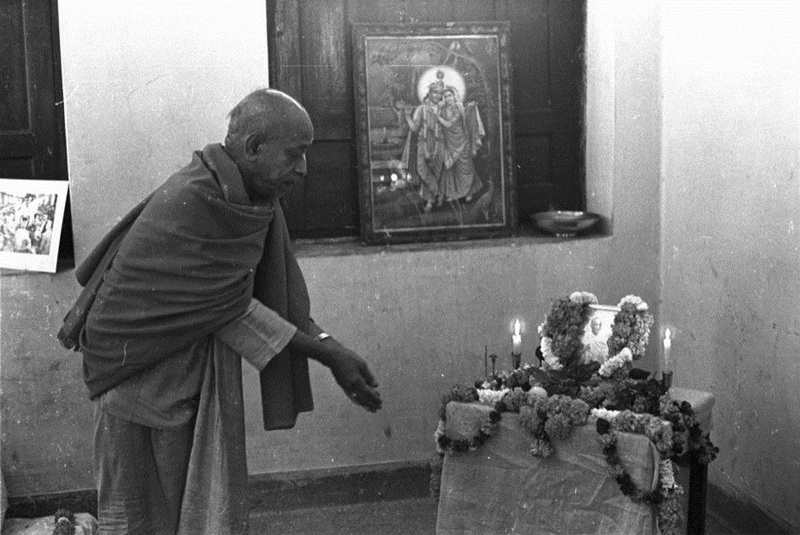 He accepted his guru, Narottama dāsa Ṭhākura. So he said that 'I am not interested for my salvation or going back to Godhead. I am not interested.' Interested means 'It may come; it may not come. That I don't mind. But I am interested only with the words of my guru,' Viśvanātha Cakravartī said. 'That is my life. Whether I will be successful or not successful, it doesn't matter. I must take the words of my Guru Mahārāja as my life and soul.'"